James Motley has been involved in Numismatics for just over 50 years as a collector. 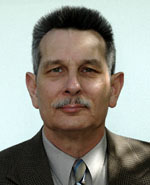 He has been an officer in the Pontiac Coin Club, and is currently past Chairman of the Huron Valley Numismatic Society. 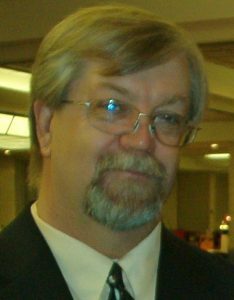 He also sits on the Board of the Michigan State Numismatic Society, The Elongated Collectors and Women in Numismatics. He is a member of ANA, CCU, CONECA, HVNS, MSNS, NUMISSOCIETY, TEC, USCC, and the WIN organizations and take active rolls when needs arise. James is the proud recipient of two Dr.Lyndon King Awards (2013, 2016) from CONECA and was privileged to be presented the ANA Presidential Award in August of 2014. Jason Cuvelier is an artist who was born in Colorado in 1973. At the age of 10 he became interested in type collecting U.S. coins from pocket change and was encouraged by his grandfather, a lifelong collector of coins himself. Always a collector of something, from comic books to action figures and stamps, numismatic varieties won out and became his primary interest. Over the past decade Jason has been able to combine his expertise with photography and Photoshop to document hundreds of different varieties and errors. Jason currently is an artist educator at an arts high school on Long Island, NY. He received his BFA from the Maryland Institute College of Art in 1995 and his MFA from Yale University in 1998. Jason has taught drawing and painting as a Lecturer at Yale from 1999-2001, more recently at high schools in Chappaqua and Mamaroneck as well as having previously worked at Christie’s Auction House from 2001-2007. 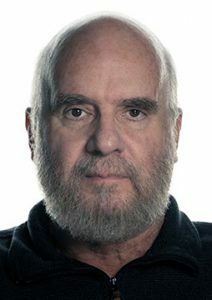 Allan Anderson has been a graphic designer and technical illustrator since 1971 along with advertising and corporate communications for some of the companies he worked for. He worked for most high tech firms in the San Francisco Bay area and developed my own graphic design business with clients from high tech, non-profit, retail and government. Besides Errorscope Allan has been the editor and layout artist for two other magazines. 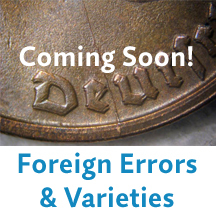 Since taking over the duties of editor he learned a great deal about error coins and and finds the hobby fascinating and looks forward to becoming a collector. Logan Wostyn’s grandfather started her collecting coins at six years old and it helped her to also learn to save money. 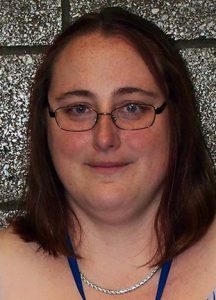 She is a Coin Dealer and a collector and thinks that no matter how much you know, there is still much more you can learn. I believe that the Young Numismatists are our future. Like my grandfather taught me I want to teach the children that come after me the wonders of collecting coins and the oddities that are out there. Errors and Varieties are unique which to me makes them more interesting. I believe that if we nourish the minds of our children and teach them with enthusiasm that we can make this exciting and interesting for them. My goal is to keep the Young Numismatists program thriving and to make learning fun. I have volunteered in these organizations since I was 11 years old and a member of Marysville Coin Club. I look forward to working with all of you and making you proud that you elected me to this position. Ken Potter is 65 years old and began collecting coins in 1959 when the reverse of the Lincoln cent was changed from the wheat-back to the now familiar Lincoln Memorial design. 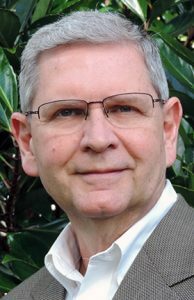 He dabbled in variety and error coins almost from the very beginning of his collecting career and began specializing in that field in 1979 when he discovered a new variety on a Canadian dollar that made front page news in the Canadian numismatic press (in addition to stories in Numismatic News and Coin World). 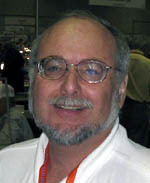 He has also penned numerous feature articles over the years for other publications including: COINage Magazine, Coins Magazine, The American Numismatic Association’s Numismatist, Error Trends Coin Magazine, Error-Variety News, NECA’s Errorscope, CONE’s Errorgram, IASAC’s Silver Bugle and others. An Author’s Index of numerous articles that he penned for his Collectors Universe column can be found in the PCGS Library and are recommended reading. 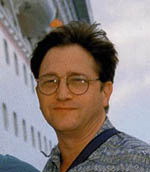 In August of 2004, the Numismatic Literary Guild named Potter as the author of the best article (or series or articles) on coins to appear in a Numismatic Newspaper (in 2003) for his “Spiked Head” series that appeared in Numismatic News and again for the Best Spot News Story or Continuing Coverage of Developing Story in Numismatics in 2008 for his series on “Presidential Dollar Error Coinage” appearing in Numismatic News in 2007. NLG presented him and coauthor Brian Allen with an award of Extraordinary Merit, for the first edition of this book in 2007. He is a member in good standing in NLG, a charter life member of CONECA, a founding member of NCADD, and a life member of the ANA. 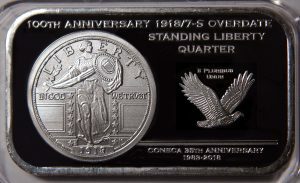 He was bestowed with an honorary life membership in the Michigan State Numismatic Society, is a member of Northwest Detroit Coin Club, Worldwide Bimetallic Coin Club, International Association Of Silver Art Collectors. He’s served on CONECA’s Board of Directors in the past and is currently on his fourth consecutive term in the Webmaster position. 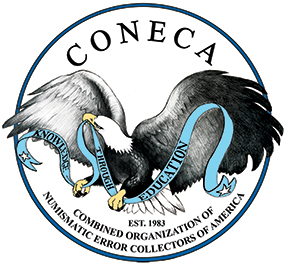 He is CONECA’s longest serving doubled die attributer (unofficially since 1981 and officially since 1985) and is the CONECA/ICG Program attributer for world die variety and error coins. He is also the official attributer of world die varieties for NCADD. He has conducted numerous slide show and question and answer seminars on minting varieties and errors for coin clubs, schools and treasure hunting clubs. He was employed by Chrysler where he retired as a quality inspector after 34 years of service to the company in 2008. 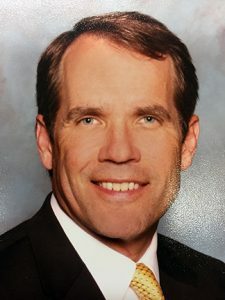 Other interests include, fishing, the outdoors, aquariums, music, computers and spending time with his daughter Anna, son Robert and wife, Kim. Peter Lukic is an accomplished art director, designer and photographer specializing in print, web and marketing. Based in Northern New Jersey, he has a broad client base and has worked on projects ranging from national magazine accounts to museum installations and catalogs. He is currently working on a variety of marketing and identity projects for his other clients. Peter is a co-owner of the Lincoln Cent Forum and specializes in collecting Lincoln varieties and errors. Through his work there and with BJ Neff, he has helped to do outreach and expand the hobby to a younger generation of potential hobbyists. 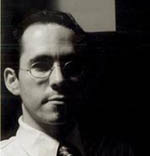 James R. Emery was born and raised in central Pennsylvania. He started collecting in 1962 after his den mother (cub scouts) tossed a Whitman volume 1 Lincoln cent folder to him and said ‘You will start a hobby collecting coins so that you can earn your silver arrow badge’. True to those words he earned his badge and was on his way to becoming a professional dealer, which today is working for Robert Charles Coin Company, Inc. He became interested in all aspects of the hobby and errors over 30 years ago but had little information to build on. He began to read and acquire many books on various subjects to have a better understanding to the what’s and whys in numismatics. He helps many other collectors and investors in their efforts of obtaining items they are looking for. He educates beginners to structure a solid foundation for their future in this rewarding hobby. As he continues to learn he shares this knowledge with others in hopes to inspire a desire to pursue their interest in numismatics. 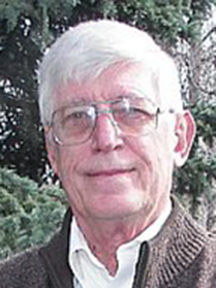 J.C. Stevens is a retired information technology specialist who lives in Colorado. He studied at the University of Colorado at Colorado Springs. He worked for Cray Research, Cray Computer & MCI. He is currently a general partner in a number of restaurants on the Western Slope of Colorado. JC started collecting the Lincoln Cent in the 1950’s. He became interested in error and variety coins in the late 1990’s and is presently an active member of ANA, CONECA, CSCC & CSNS. Bob Mellor was introduced to the hobby of numismatics at the age of 8 by his uncle who was an avid coin collector. Bob was bitten by the collecting bug and would anxiously search through his paper route collection money for any coins that would fill his Whitman albums. After 50 years, he still has the “bug”. Bob volunteers his time to CONECA as a State Representative for Florida and can often be found behind the CONECA Club table at local and national events. He now serves on the CONECA Board of Directors and his articles can be found in ErrorScope. In addition to CONECA, Bob is a Life Member of the American Numismatic Association, an ANA District Representative for Florida, an ANA Certified Exhibit Judge, and in 2017 was awarded the ANA Outstanding District Representative of the Year. Locally in Florida, he is a member of the South Brevard Coin Club Board of Directors, Titusville Coin Club and Florida United Numismatists. He is also a regular volunteer instructor on the topic of “Collecting United States Coins” for the national adult continuing education outreach program “Senior Adventures in Learning” (SAIL). Nationally, he holds memberships in the Colonial Coin Collectors Club (C4), Early American Coppers (EAC) and the John Reich Collectors Society (JRCS). He has also authored articles in the JRCS Journal.